But what about the cost? Here are 5 ways breastfeeding will save you money. 1. Save money on infant formula. The cost of feeding your infant formula runs anywhere from $1000 to $2000. You can cut the cost to $300 by breastfeeding – not only that, but you’ll get to eat the extra calories yourself. 2. 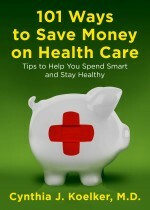 Save money on doctor visits. Breastfed babies have been shown to be less prone to many costly health problems including ear infections, serious respiratory infections, asthma, childhood leukemia, and Type I Diabetes, according to a recent study in the journal Pediatrics. 3. Save money on clothing. For many women, breastfeeding will help you lose weight more quickly after pregnancy, making it more likely that you’ll fit into your pre-pregnancy clothing. If you feed your child 200 to 800 calories a day by breastfeeding, that can easily add up to an extra 5 pounds a month of weight loss. 4. Save money on laundry. Formula-fed infants are more likely to spit up, thus staining their clothing. It only makes sense that human milk is the best tolerated food for newborns. And some formula stains simply don’t come out. 5. Save money on funerals. The same study in Pediatrics reports if 90% of U.S. mothers breastfed exclusively for the first six months, 900 infant deaths would be prevented annually. That sobering statistic alone should be enough to make a mother think twice. This entry was posted in Women's health and tagged American Academy of Family Physicians, American Academy of Pediatrics, breastfeed, Health, Infant, Infant formula, Pediatrics, Pregnancy. Bookmark the permalink.